Kipper card 11 – Win Big Bucks. 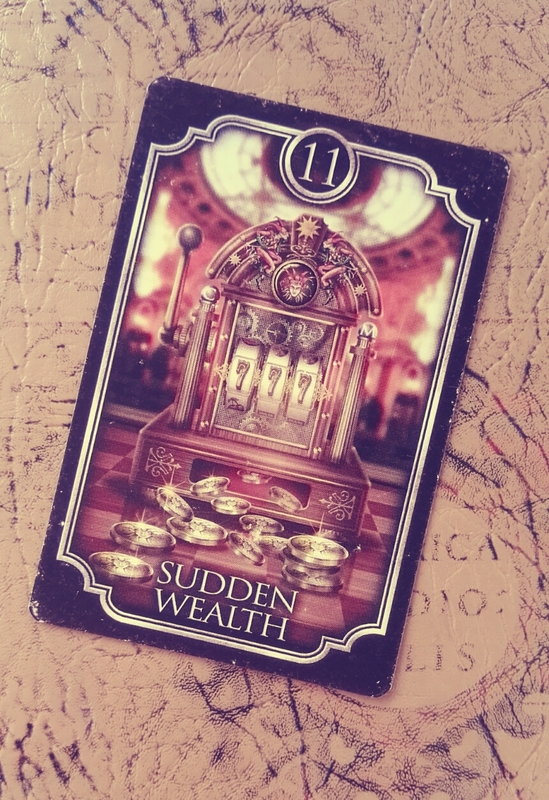 Card 11 usually addresses the querent’s financial situation. It stands for a big sum of money or worthy properties and adjacent cards will indicate whether it is an earning or a lost, or if the sum is safe or in danger. When the issue is not money related, this card indicates lots of what is beside. As well, depending on its position it can be an indicator that I lucky hit is to come on our behalf without much effort from our part. It is related to financial safety, money-related professionals, investments speculation, loans or inheritance. As a time indicator it stands for a month or six weeks. Previous postRead about Mia thanks to Willows East. Next postKipper card 12 – Rich Girl.